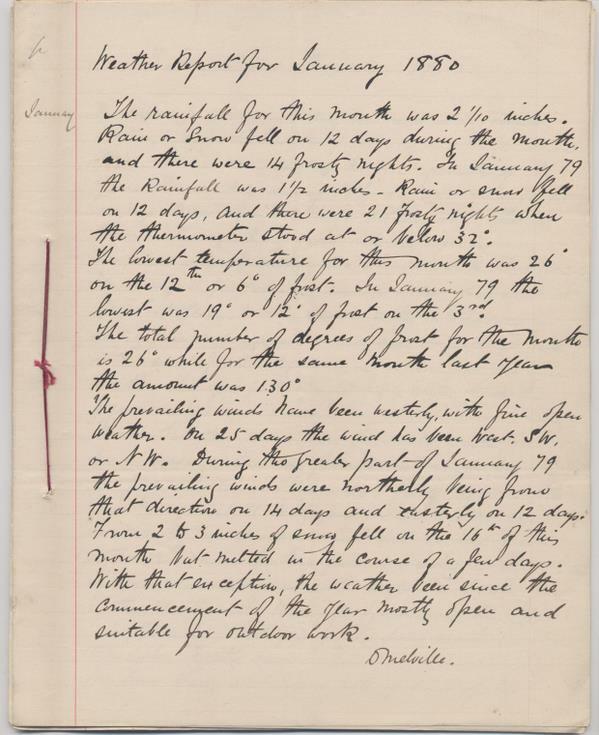 Notes on the meteorology of Sutherland for 1880 compiled by D Melville. An overview of the year with comparisons with previous years. 7 sheets sewn.